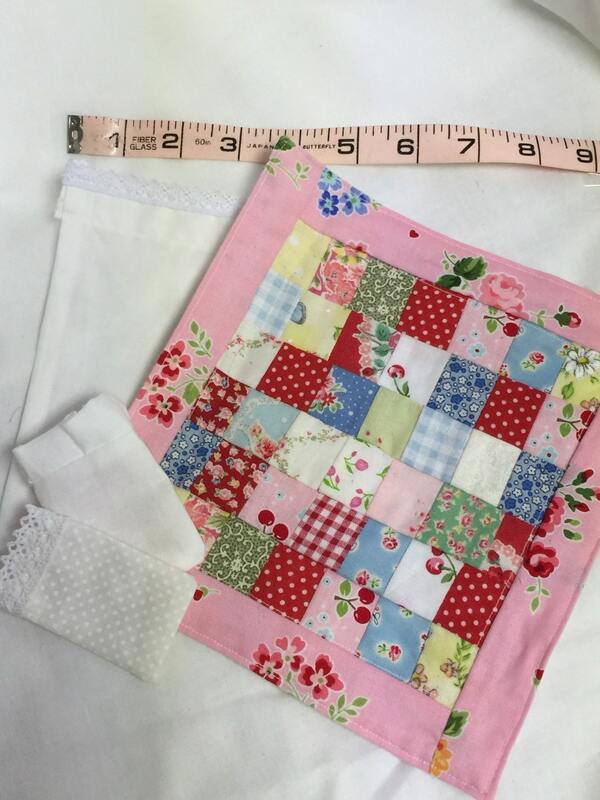 I adore Cottage style quilts, sheet sets, bedding. 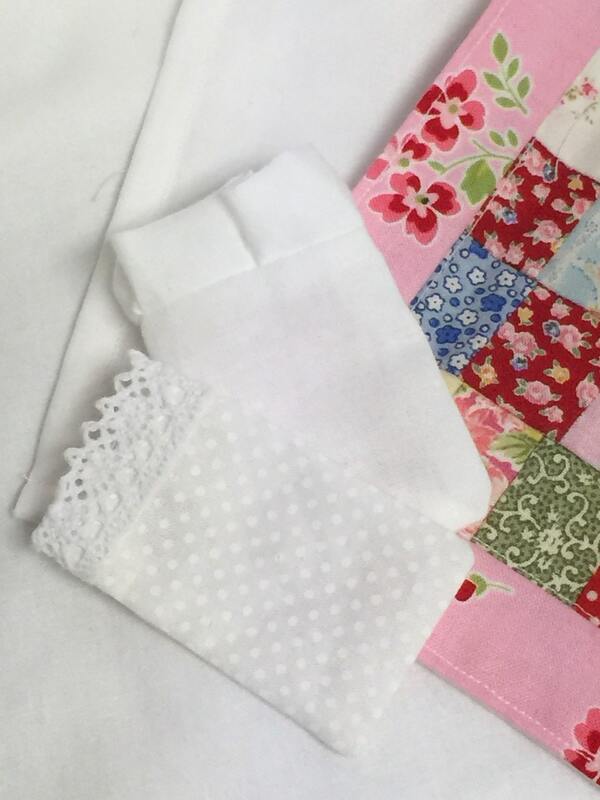 This listing includes this 7.5x7.5 pink Patchwork quilt, lace edged flat sheet, pillowcase, ruffled white sham. 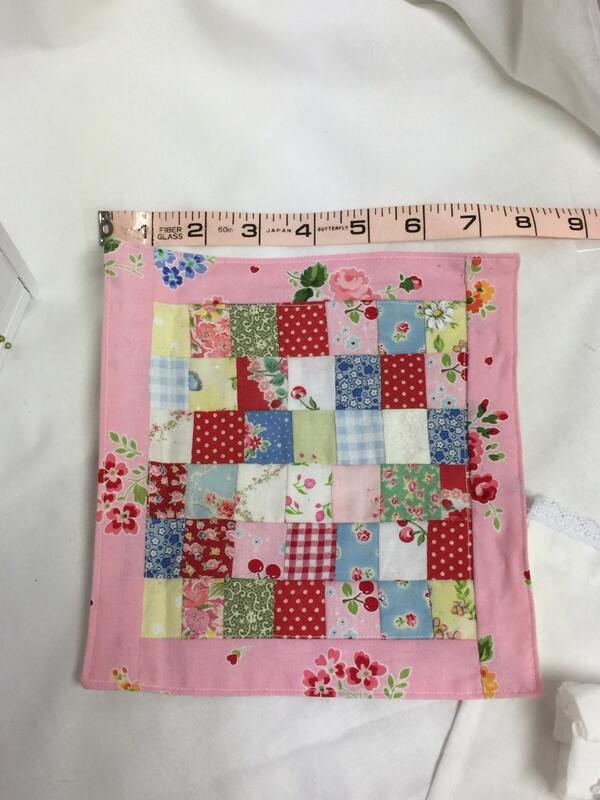 Can be used on a double or queen sized dollhouse bed. You can always add a second mattress or a piece of batting to lift bedding up a bit more if it is a tiny bit too long. 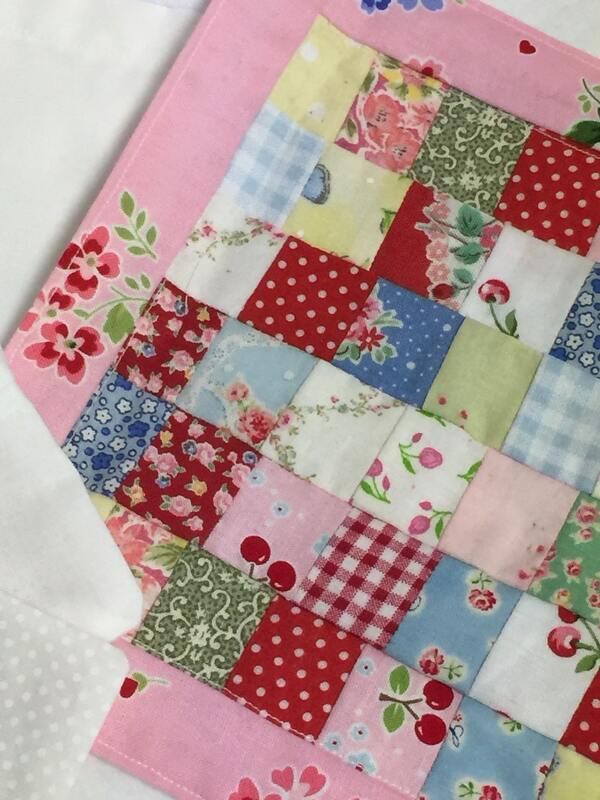 I also like to fold a sheet back over a folded quilt to give it a layered look.